Cambodia’s year-round tropical climate sees temperatures of hot, hotter or scorching. In the dry season, there’s dusty, dry air to contend with and in the rainy season, the varying degrees of humidity can make it very sticky indeed! 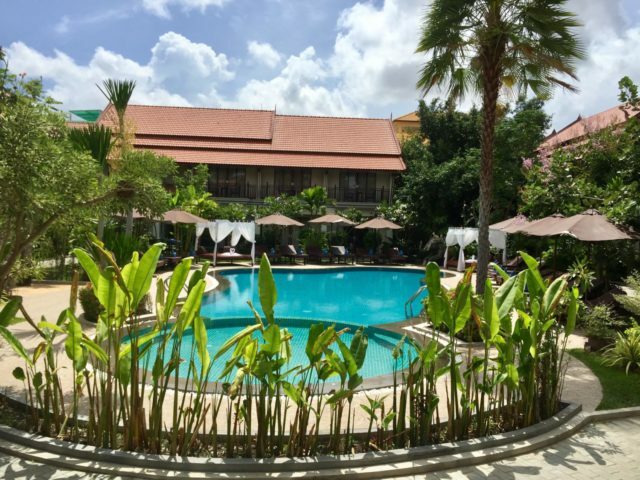 Spend any amount of time in Siem Reap as a tourist, traveller or expat and you’ll soon be craving a refreshing dip in a swimming pool. But what about if you find yourself staying or living somewhere with no pool or a pool of dubious quality? 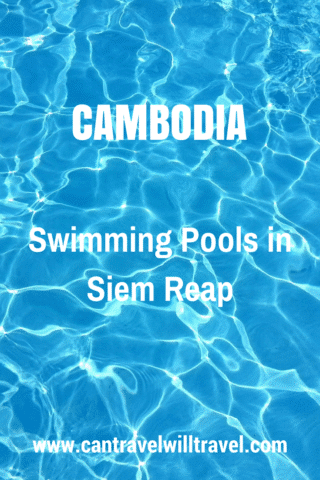 Well, there’s no need to worry as there are numerous swimming pools in Siem Reap. Most pools are attached to hotels, hostels, and guesthouses and many of these allow non-guests to the pool if some food or drink is bought, or for a fee. However, if you’re not ‘in the know’ it can be tricky to find out which hotels and guesthouses offer this. 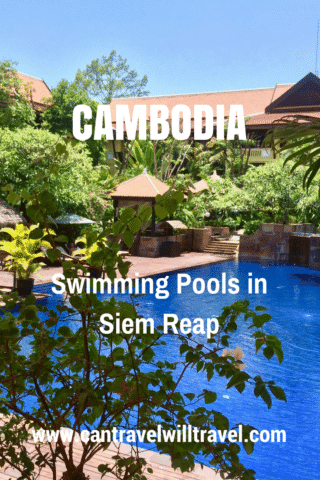 To save you the trouble of researching swimming pools in Siem Reap whilst we were living there we visited and reviewed as many pools as possible. 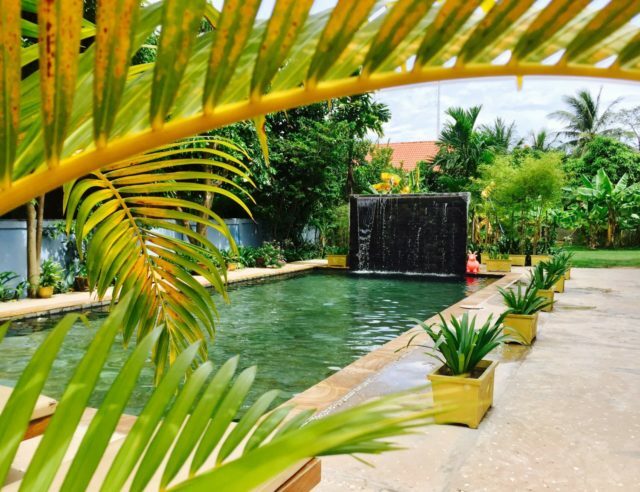 So in the order visited here are some of the swimming pools in Siem Reap that you can use if you’re not a guest at the hotel or guesthouse. We were provided with complimentary use of the swimming pool and facilities of all featured hotels and guesthouses I’ve reviewed below. Read more in our full Product Review Disclosure. 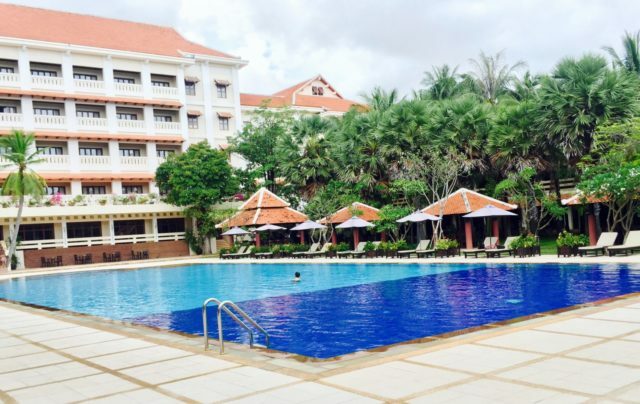 Located in the centre of Siem Reap near the Royal Gardens is Victoria Angkor Resort and Spa. The hotel buildings are set around a big saltwater swimming pool, children’s pool and jacuzzi. The pool area has plenty of sunbeds with towels, tables and parasols and is surrounded by an attractive, leafy garden. There’s a poolside bar from which you can order a good selection of drinks and Western and Asian food, which you can enjoy either poolside or in the restaurant. We found the pool staff to be very attentive, friendly, and always available when we wanted to order anything. In addition to the pools, there’s a small gym and children’s soft playroom. The playroom has a nurse so you can leave your children to play for a while, whilst you take some time out. if you want to pamper yourself there’s also a spa offering a range of treatments for an additional charge. Attached to the spa are separate changing rooms and toilets for ladies and men which can be used by pool visitors. Free wifi is available too. We spent a lovely, peaceful afternoon here; perfect for a relaxing treat. Cost: $25 USD (£19.20) for full use of the pools, gym and steam room plus a credit for the same amount to spend on food or drinks from the restaurant or bar. Out on National Route 6, towards Siem Reap International Airport is Royal Angkor Resort. It boasts a huge (35 metre) swimming pool, surrounded by neat lawns and tall palm trees. Sunbeds and towels, tables, and parasols line the poolside. Set back from the pool is a bar, however, it seemed to be unmanned when we visited so we didn’t sample any food or drinks. In the gardens is a gym and spa offering a variety of treatments for an additional cost. At the far end of the pool are toilets, showers, and small changing rooms for both men and women. There is also a steam room, sauna, and jacuzzi but they were closed when we were there, I assume because it was low season. Wifi is available free of charge. Due to its size, this pool is great if you want to swim lengths. It’s also used for swimming lessons, although I’m not sure how regularly they take place. Just before we left at about 2:30 pm on a Saturday a group of children arrived for lessons. Cost: $5 USD (£3.85) includes a gym, steam room, sauna and jacuzzi. Tucked away down a quiet back street, off Angkor Night Market Street is Baby Elephant Boutique Hotel. It has a gorgeous salt water swimming pool, surrounded by a beautiful tropical garden. There are several sunbeds with small tables and big parasols, as well as a seating area at one end with bright, comfy cushions. At the other end of the pool near to the hotel is a well-stocked bar serving delicious cocktails, beer and soft drinks, plus a great selection of Western and local food. The staff and owners were all extremely welcoming and friendly and the service from the bar and restaurant was quick and efficient. Attached to Baby Elephant is Lemongrass Garden Spa which offers massages and other health and beauty treatments at an extra charge. Near the pool is a shower and toilet where you can change ready for your refreshing dip. The fast wifi is free to use if you check in on Facebook. This quiet oasis made a fantastic alternative office for the afternoon when I visited with my laptop to finish some writing. Cost: – Free if you purchase food and/ or drink of at least $5 USD (£3.85). Navutu Dreams Resort & Wellness Retreat can be found away from the noisy city centre, down a bumpy red dirt track on the outskirts of Siem Reap. It has three swimming pools set amongst lush green and floral landscaped gardens. There are a fresh-water sports pool and a saltwater leisure pool with a small children’s pool. Comfortable sunbeds, tables and parasols are dotted around the pool. Between the two main pools is ‘Niam Niam’ the resort’s restaurant where you can order a variety of Asian and Western dishes, alcoholic and soft drinks. The staff were on hand if we needed them but were unobtrusive and left us to our own devices the rest of the time. The pool staff were helpful, friendly, and on-hand if needed. The resort also has a yoga and gym studio, offering daily yoga sessions. Additionally, there’s a spa which offers a wide range of holistic and spa treatments at an extra cost. Toilets and showers are near the pool and good quality wifi is free for pool visitors to use. Apparently, the pools rarely get busy so make a great spot to lounge around and chill out with a good book. Cost: $8.00++ or $9.14 USD net (£6.16++ or £7.03) – Pool and gym use with food and drink credit OR pool, gym and yoga pass. A little way out of Siem Reap centre is Spring Palace Boutique Hotel. The hotel’s centrepiece is a saltwater swimming pool in a peaceful, green, well-maintained garden. At one end of the pool is a built-in jacuzzi. The other three sides of the pool are set up with sunbeds, towels, tables and parasols. Near the reception is a well-stocked bar offering beer, wine, cocktails and soft drinks. There’s also a very nice menu consisting of Asian and Western dishes. The staff were attentive without being overbearing. They were always happy to help and checked with us regularly to see if we needed anything. This is a lovely space to retreat to away from the noisy city centre. There’s also decent wifi which means you could base yourself with here with your laptop to work for a while for a change of scenery like I did. A short way out of Siem Reap Centre on National Route 6 (the opposite direction to the airport) is Angkor Era Hotel. It’s set around a beautiful, good sized pool with several sunbeds, parasols and tables. There is no poolside bar, however, the pool staff checked with us see if we wanted to order anything from the menu. There was a choice of Asian or Western food and the usual alcoholic or soft beverages. In the main building beside the pool, is a gym, jacuzzi, steam room, sauna and cold plunge pool. There are two of everything – separated for ladies and men (except for the gym). A spa is also available which offers massages and other treatments, however, unfortunately, we didn’t have time for a massage. The changing rooms are attached to the spa and there are additional poolside showers near the pool. Free wifi is available too. Due to it’s out of city location this pool stays pretty quiet so it’s a nice place to relax and get yourself pampered. It should be noted that if the hotel is busy in high season the pool may not be open to non-guests, so be sure to check before arriving. Cost: $5 USD (£3.85) for pool use only OR $10 USD (£7.70) for pool and a one hr massage. Centrally located down a quiet side street off Wat Bo Road is The Golden Gecko Villa. It has an attractive, well maintained, good sized swimming pool with a lovely waterfall feature at one end. There are plenty of sunbeds complete with towels, tables and large parasols, surrounded by tropical plants and flowers. At the opposite end of the pool to the waterfall feature is a great bar serving a good selection of alcoholic and soft drinks; including some tempting cocktails. Be sure to try their signature ‘GG’ cocktail and if you’re brave enough give their ‘Sambuca Challenge’ a go! Next to the bar is a little seating area, perfect for chilling out in if the sun gets too much or you get caught in a rainy season storm. If all that poolside activity leaves you peckish, there’s a selection of tasty bar snacks on offer including Aussie Pies with chips. The owners and staff were personable, helpful and friendly, and more than happy to have a chat and a joke with us which made us feel very welcome. There’s also free, quick wifi available, so you could happily set yourself up here with your laptop for a few hours work if you fancied a change of scenery. Cost: – $5 USD (£3.86) minimum spend on food and/ or drink/ Expats free – just introduce yourselves when you arrive. Conveniently situated in the heart of Siem Reap City centre is the luxury Hotel Somadevi Angkor Boutique & Resort. The beautiful, large, crystal clear, saltwater pool is set in the centre of the resort, overlooked by the rooms. There are sunbeds with towels, parasols and small tables on all sides, whilst tropical palms and plants offer extra shade from the hot sun. At the far end, on a raised platform is The Blue Pool Bar, well stocked with a good range of beer, wine, spirits, tasty cocktails and soft drinks. It also offers an appetising selection of Asian and Western dishes to have either next to the pool or at a dining table situated at the near end of the pool. The staff were extremely friendly and on hand whenever we needed anything. In addition to the pool, The Aloe Spa and Fitness Centre offers a variety of treatments for an additional cost. Attached to the spa is also a jacuzzi, steam room and sauna (separate for men and women), available to pool visitors for no extra charge, along with changing rooms and toilets. Wifi is also available for free by the pool, just ask one of the staff for the password. We thoroughly enjoyed our afternoon here in this peaceful haven away from the hustle and bustle of central Siem Reap. Cost: $8 USD (£6.10) for full use of the pool, jacuzzi, steam room and sauna. A short walk or few minutes tuk tuk or cycle ride from the bustle of Siem Reap centre is the elegant, boutique property eOcambo Residence. As you walk in the entrance you’re greeted by a large saltwater swimming pool, ideally situated in a private walled garden, surrounded by tropical plants and trees. The unique two-tiered layout (both with sunbeds and towels) of their pool deck area offers unobstructed views of the pool wherever you choose to settle yourself. There are no parasols in sight at this pool…it was designed so palm trees offer natural shade to those relaxing on the top tier, whilst sun-worshippers can bask in the sun on the lower tier. Conveniently located nearby are bathrooms and outdoor showers. There’s also the option to have a massage for an additional cost. It’s $10 USD (£7.70) for a one hour hand and foot massage. At the far end of the pool is a bar where you can buy a selection of reasonably priced poolside snacks, sandwiches, salads and burgers. There is also an extensive drinks menu serving beer, wine, spirits, cocktails and soft drinks. If you’re looking for a more substantial meal you can also dine in the hotel restaurant, there are both Western and Asian dishes. This peaceful, leafy setting is the perfect escape from the everyday traffic, noise, and dust of central Siem Reap. Wifi access is available should you need it. Cost: Free if you purchase food and drink. 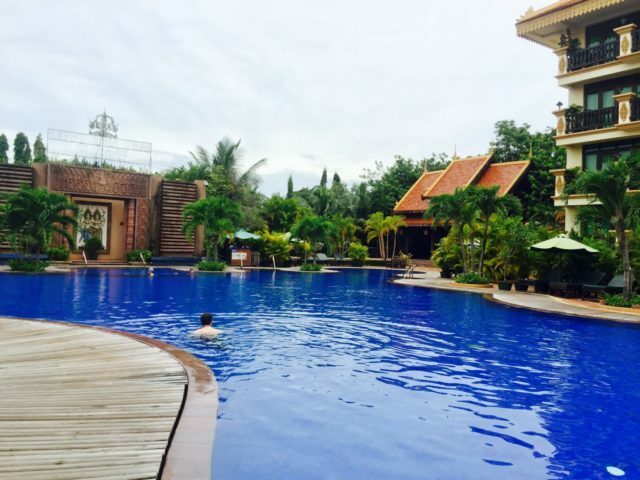 There are many more pools in Siem Reap that allow non-guests to use, some of which we hope to visit and review soon. 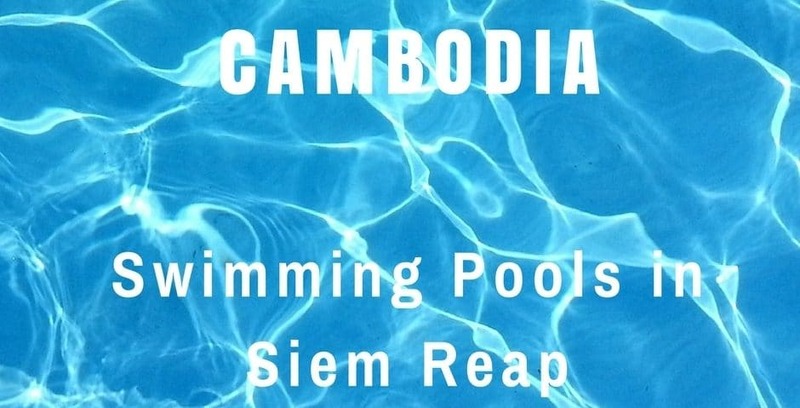 In the meantime, if you’d like to find out more pools to investigate yourself, Siem Reap.net have an extensive list of swimming pools in Siem Reap. 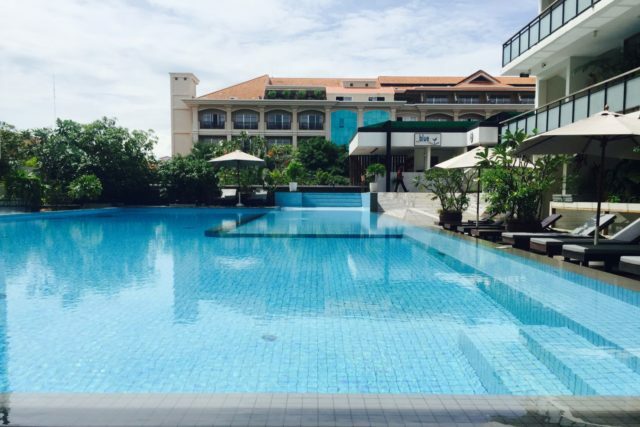 Have you visited any other swimming pools in Siem Reap that you’d recommend for non-guests to swim at? Product Review Disclosure: We were provided with complimentary use of the swimming pool and facilities of featured hotels. This did not influence my post in any way and as always I’ve provided a balanced and honest review. Read more in our full Product Review Disclosure. Siem Reap is definitely a piece of paradise on Earth as the whole country is. The pools seem so inviting and I’ll have to get there as soon as possible! Anjali by Syphon is a new boutique hotel 5 stars opened in September 2017. We offer for residents in SR a Privilege Card where the guest can use our 17 sqm salted-water swimming pool for free. If you don’t have the card, ask for us or just spend 5 dollars and use the pool for the day. 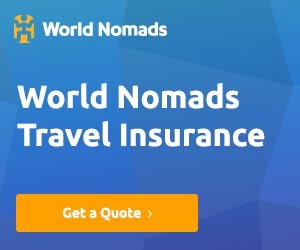 This sounds great – if you’d like to be included in our review blog post please contact me on [email protected] and we’ll arrange a time to come visit and review. What a great guide! 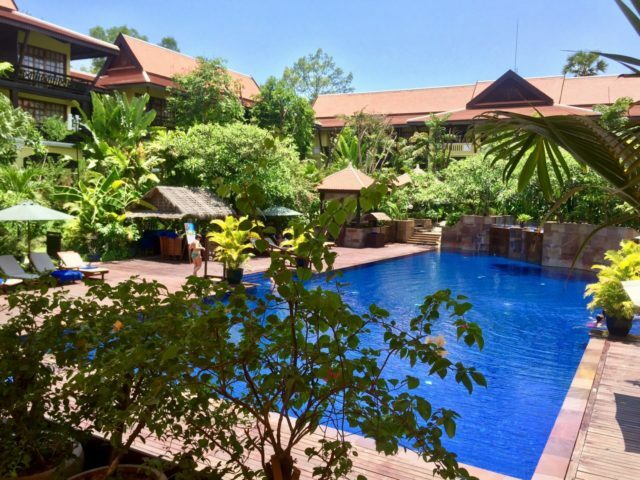 We purposely splashed out (pun intended) on a place with a pool when we visited and we were so glad we did…sometimes it was the only thing that got us through the heat and dust of the day, knowing we could dive straight into a pool! 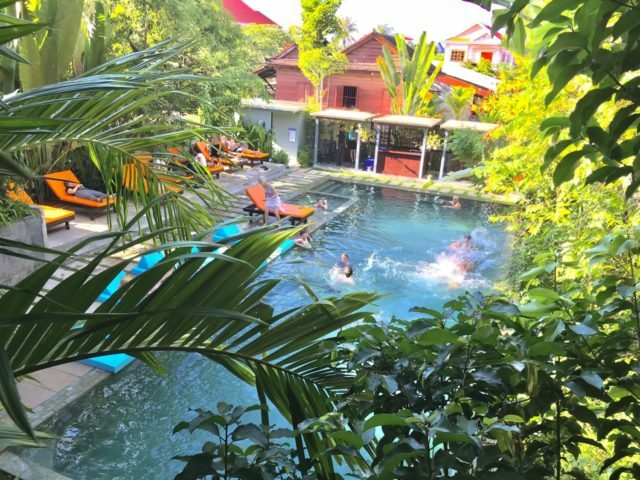 Pools in my opinion are the cenral attraction before selecting a hotel, atleast for me!Thanks for this blog post. Will refer to this before visiting Cambodia! Yes I agree, it’s good to have a nice pool. If you do save it for if you visit there’ll be many more pools on it later in the year! Oh, these all look so inviting! 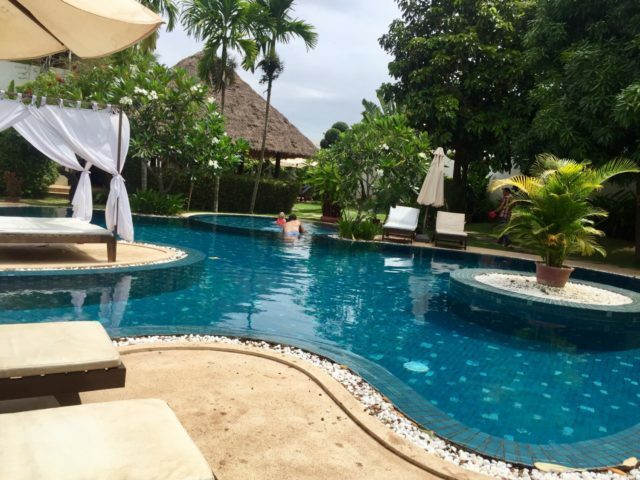 I stayed at Le Meridien Angkor and could barely tear myself away from their pool! Ooh I’ll have to go and see if Le Meridien allows non-guests to use their pool! I hope so. Thankyou! Yes Navutu does look a really nice hotel; although I haven’t stayed there myself! Yes there are a few restaurants with pools too! I’ll have to check them out too!